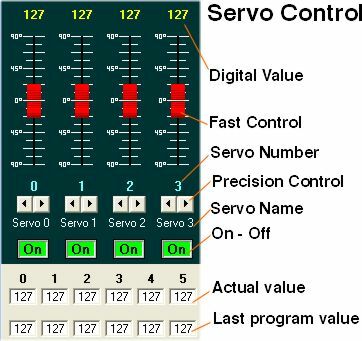 Visual Servo Controller 2 is a program to control servos through controlling circuits of Mini SSC II (S310165 Controlador 8 Servos SCC) and other compatible servos, such as the new 12-channel SSC -12 (S310170 Controlador de 12 Servos). This program is characterized by its easy operation, as it allows to control up to 16 servos easily thanks to its intuitive user interface. 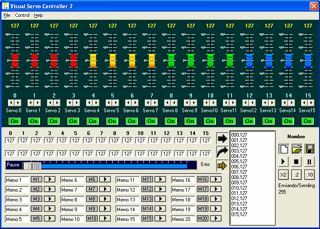 It has 20 memories where the servo positions are stored at any time, allowing the user to retrieve them later. 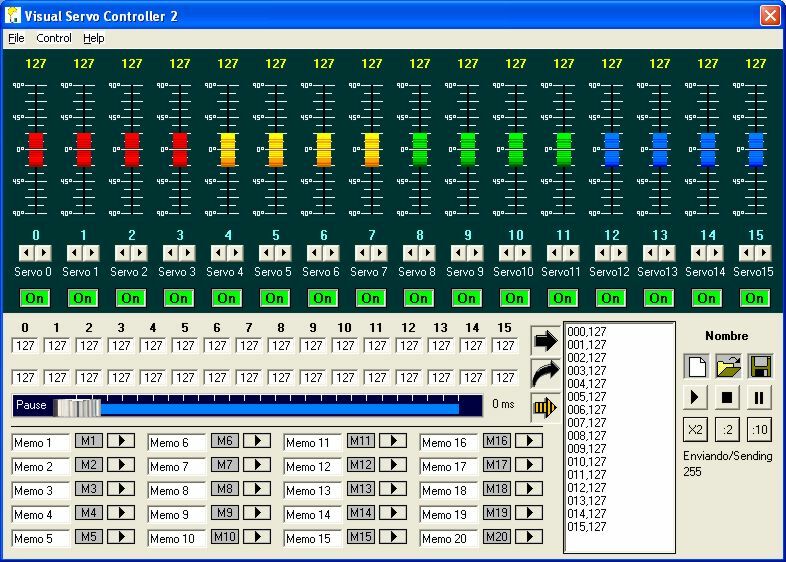 This way the user can create and test sequences of movement step by step, generating complex movements in just a few minutes. Furthermore, VisualSC2 allows for the creation of movements with constant angles or synchronized movements in which all servos begin and finish at the same time obtaining a great beauty of movement and smoothness in its operations. Another relevant feature is the system’s great capacity to store and retrieve from the disk both programs and different configurations, including servos’ names, memory positions, servo’s limits, etc. This feature allows having a different configuration for each robot and changing from one configuration to the next quickly. The system has been enhanced by a very useful feature which matches two servos, so when moving the first servo, the second servo follows it, even if they have different values. Moreover, it is also possible to make the two servos work inversely with each other. Thus, when a servo increases, the other one decreases and vice versa. 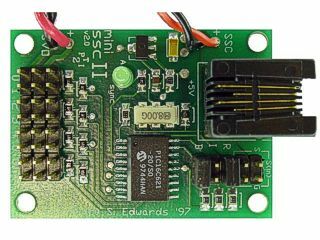 This way the system can activate the servos in parallel and opposed mode, making the operation much as easier as it is not necessary to reverse the connections of the servo’s motor. 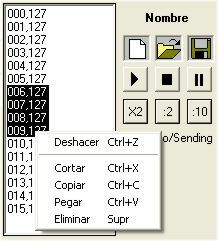 To install the program you simple have to download and unzip it in a folder. Next, you have to run the 'Setup.exe' file. This program works under Windows 98, ME, 2000 and XP, but it requires a Com1 or Com2 serial port.